Marilyn Bottini gently clasps the hands of her grandchildren and leads them through the doors of the Peter J. Shields Library, past UC Davis students studying. The pattern of their squeaking shoes echos down the corridor as their varying gaits make a musical sound along the tiled floor. They walk past the tall rows of colorful bindings that stand like soldiers in a row and arrive at their final destination. The librarian pulls down a large volume of chemistry textbooks and delivers it to one of the children. Young hands crack open the cover, eyes read “In memory of Albert Bottini, Professor of Chemistry” and a warm smile creeps over the faces of the young Bottini family members. 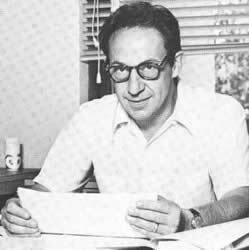 Albert Bottini was an organic chemistry professor emeritus at UC Davis from 1958 to 1992. Professor Bottini’s early research, supported by the Petroleum Research Fund of the American Chemical Society, the National Cancer Institute of the U.S. Public Health Service and the National Institutes of Health, dealt with studies of base-induced cyclizations and with amines derived from dihalopropenes, which are compounds that can be used for preparing pesticides. Later in his career he shifted his research interests to a study of phytotoxins (substances that are inhibitory to the growth of or poisonous to plants) and then later pursued studying the oils and ethanol extracts of a number of medicinal plants collected in the Central Himalayas of India and in California. He was awarded National Science Foundation fellowships from 1954 to 1957. He also served on the UC Davis Physical Sciences Library Committee for several years. Read more. Bottini and her family created the Albert T. Bottini Chemistry Collection Endowment to support the library in purchasing key chemistry research materials. The funds allow the library to purchase expensive multi-volume reference books that students and faculty use, which would otherwise be too expensive to acquire. To learn more about private support of the UC Davis Library and how you can help, please contact Toni Arellanes-Miller, Senior Director of Development, UC Davis Library at (530) 752-2422 or tarellanesmiller@ucdavis.edu; or Jane Fortner, Assistant Director of Development, Library and Student Affairs at (530) 752-9842 or jefortner@ucdavis.edu.